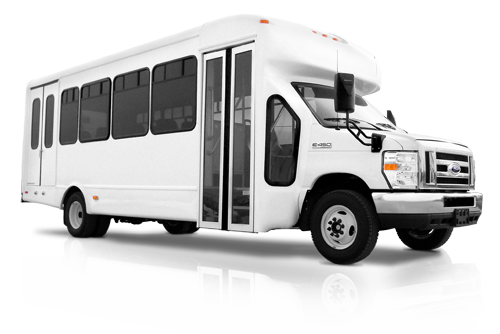 Group Tours For Every Occasion! At Over the Falls Tours, we can easily coordinate excursions, corporate events, and celebrations that are both fun and educational for groups of any size. Our group tours include our entertaining, informative, and fully licensed guides. In addition, we can provide foreign language guides upon request. This tour features the best of both worlds on the American and Canadian sides, plus an unforgettable dining experience with views of the majestic Falls. 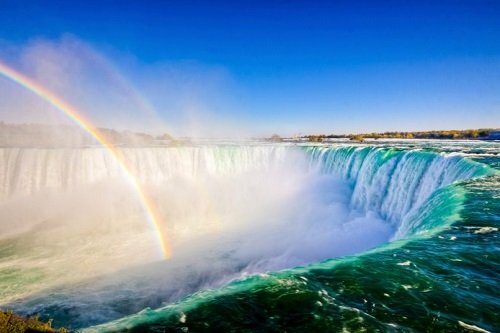 Highlights include a ride aboard the world-famous Maid of the Mist boat and visits to all the key viewing areas throughout Niagara Falls, USA and Canada. 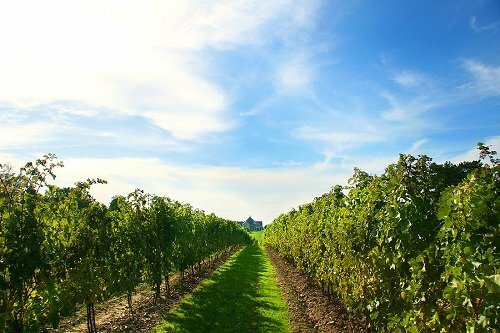 This tour features the beautiful and historical Niagara-on-the-Lake in Ontario, Canada and includes a visit to a local winery for a tour and tasting. You’ll also take a picturesque ride along the Niagara River, which Winston Churchill once called, “The most beautiful Sunday drive in the world.” Along the way, you’ll enjoy views of vineyards, orchards, beautiful homes, and historical monuments. 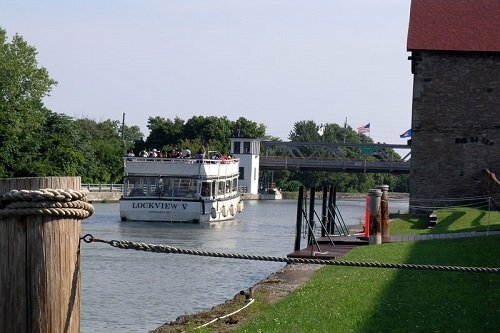 Offering entertainment at your command, this tour includes a visit to the Buffalo & Erie County Naval & Military Park for a memorial service and tour of the ships. The Military Reunion Tour also features a meal aboard the Little Rock Cruiser, a viewing of the Falls atop the New York State Observation Tower, and a thrilling ride aboard the Maid of the Mist boat. 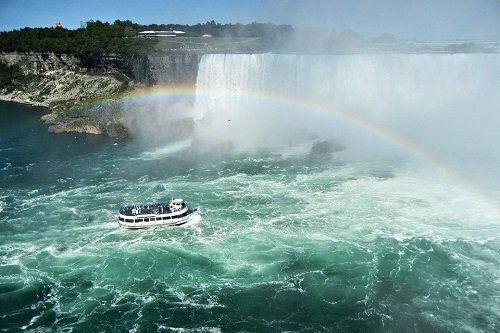 This tour features spectacular sights on the American side of Niagara Falls. Learn about daredevils and water wonders, all in one interactive history lesson. 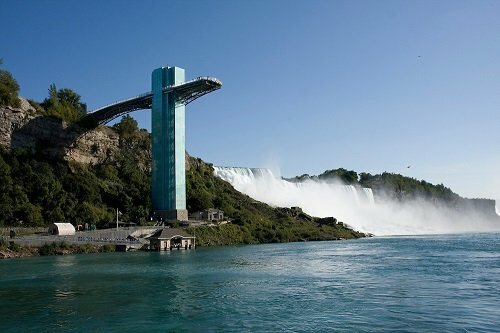 Highlights include viewing the Falls atop the New York State Observation Tower and enjoying an exciting ride aboard the world-famous Maid of the Mist boat. Not a problem. Over the Falls Tours can provide one of our licensed and professional Step-on Guides to enhance your Niagara sightseeing experience. Contact us between 8:00 a.m to 8:00 p.m Eastern Time, or message us 24/7 using the Contact Form. Have a group you'd like to book a tour with?